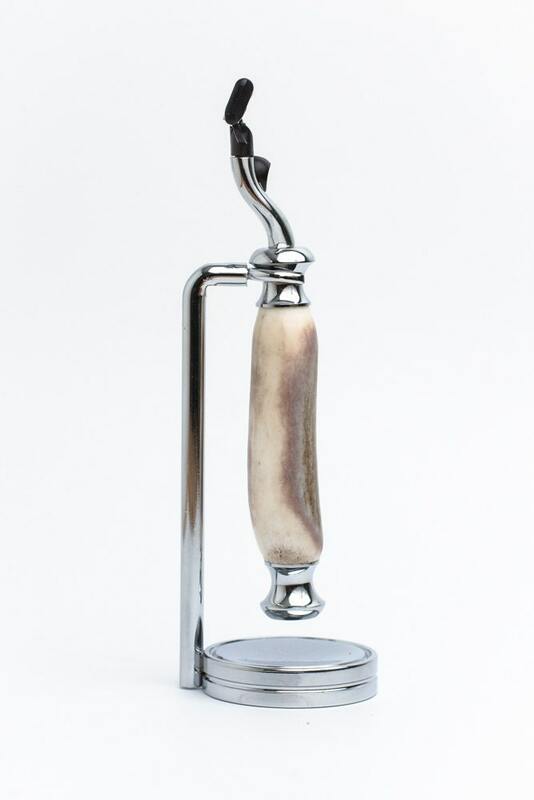 This is one of the most unique Hand-turned Shaving Razors you will find. It is made from a Natural Shed Deer Antler. Each Razor is hand made by me and will be different and unique in it's own way. No two will ever be the same. The razor head is the Gillette Mach3 disposable shaving razor. 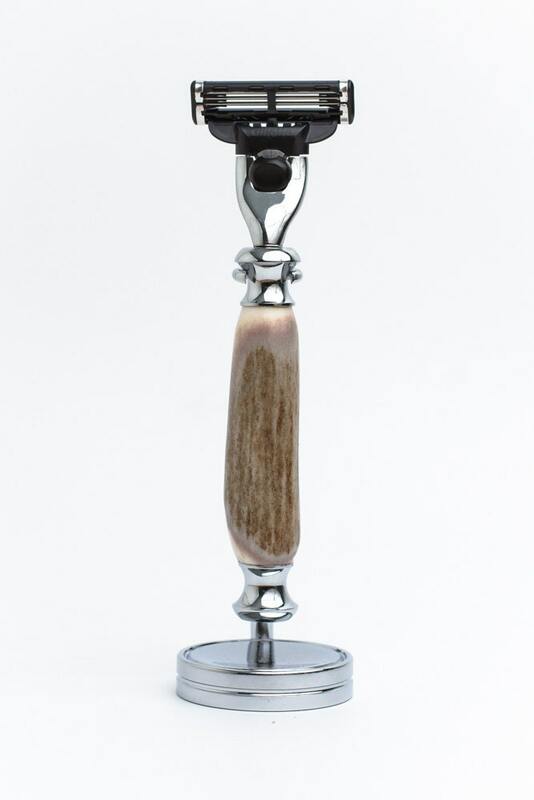 As compared to other turned razors on the market, this razor boasts a heavier more quality hardware and includes a weighted chrome stand. Each piece is sealed with 10 coats of a CA or Cyanoacrylate (super glue). This makes the razor 100% water proof and will withstand many years of use.